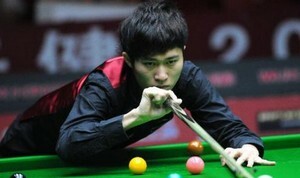 The boys continued to compete for 16 seats in Shanghai on Day 2 of Shanghai Masters Qualifying. 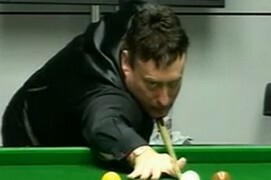 'The Whirlwind' Jimmy White nailed 5-3 victory over Adam Wicheard from 2-3 down. White completed a break of 83 to go all square before mid session but Wicheard once again took the lead 3-2. The Whirlwind did not blow off the competition, making 79, 67 to go 4-3 up before knocking 40, 33 in the final frame to knock his victory. The eventual winner between Liu Song and Tian Pengfei was Liu Song. Liu had a narrow 5-4 win over Tian. Liu Chuang was another tough battle winner against Li Yan, also through to the next round by 5-4. Third Chinese rival came between Xiao Guodong and Cao Yupeng. Xiao went 3-1 up with 56, 51 before Cao made his fightback to lead 4-3 by runs of good breaks. Xiao dragged to decider with 51 but Cao won on the final black, 5-4. Michael White had a comfortable win over Alfie Burden by 5-2 along with 145, which is the highest break of the qualifying so far. James Wattana continued his good form, 5-2 victory over Andy Hicks with 138. Andrew Norman who defeated 15-year-old Poland talent Kacper Filipiak in the previous round, kept his hope to China by edging out Joe Swail 5-4. Passakorn Suwannwat from Thailand will set up his next match with Steve Davis by beating Crucible qualifer Jimmy Robertson 5-2. Young talent from Norway Kurt Maflin gave convincing 5-3 win over Joe Jogia although he was 0-2 and 2-3 down in the match. Another Rising Star Jack Lisowski whitewashed David Grace. Both of them have very good future.